The United Arab Emirates has announced to give $3 billion (Dhs11b) to Pakistan in the coming days to enhance liquidity and monetary reserves of foreign currency at the State Bank of Pakistan. 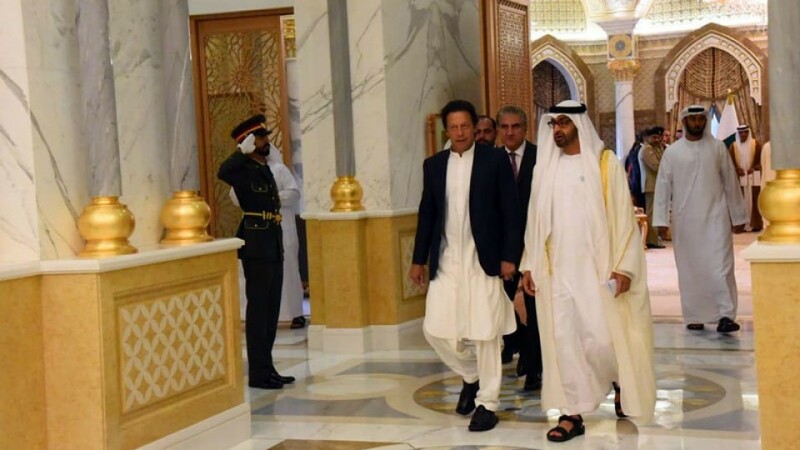 Pakistani officials welcomed the announcement by the United Arab Emirates to support the financial and monetary policy of Pakistan, as the country is struggling with a balance of payments crisis. Pakistan’s Prime Minister Imran Khan, Foreign Minister Shah Mehmood Qureshi, and Information and Broadcast Minister Fawad Chaudry thanked the government of the United Arab Emirates and His Highness Sheikh Mohamed Bin Zayed Al Nahyan, Crown Prince of Abu Dhabi and Deputy Supreme Commander of the UAE Armed Forces, on Twitter, for supporting Pakistan generously in the testing times. Foreign Minister Shah Mahmood Qureshi in his tweet said, they are thankful for this generous financial support of $3 Billion that’s a manifestation of the close fraternal ties between Pakistan and UAE. Pakistan is a regular borrower from the International Monitory Fund since the 1980s. The country last received an IMF bailout in 2013 to the tune of $6.6 billion. According to financial experts, the deposit will ease pressure on Pakistan’s foreign currency reserves and the rupee, which has depreciated by 36 per cent against the U.S. dollar over the past 12 months. The Abu Dhabi Fund for Development has financed eight development projects in Pakistan with a total value of Dhs1.5 billion, including Dhs931 million in grants—for sectors such as energy, health, education and roads.